Some unnasorted and random Street Fighter Alpha 2 Combo/Gameplay/Glitch Videos. The only “full” video project here is the A2 Alpha Counter Reversal video, the rest are just very short clips showing a glitch in the works, Random findings or some interesting gameplay stuff you should know. – SFZ2 Basics: Throw Juggles. – SFZ2 Guy Bushin Gorai Kyaku Trade “Glitch”. – SFZ2 Chun-Li Kikouken Bug. – SFZ2 Dhalsim Recovery Teleport Glitch. – SFZ2 Dhalsim Tech Roll Glitch. 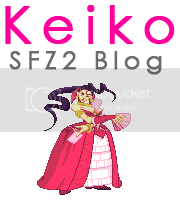 – SFZ2 Sakura Double Jumping Attacks (PSX). – SFZ2 Birdie Counter Damage. – SFZ2A Guy Kara Bushin Musou Renge.